Beautiful mountains, profound lakes, lush green, amazing cheese & chocolate and beautiful cities – that’s Switzerland. In terms of landscapes, this country is unique within Europe and should be on any traveler’s bucket list. 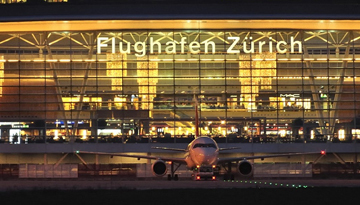 Being the site of Switzerland’s most important airport, you will definitely also get to know Zurich, the most populous city and commercial hub of the country. 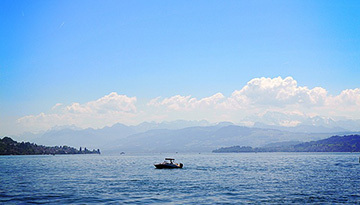 Compare and book cheap flights to Zurich from the UK now and discover a truly diverse country. Clearly, you should plan at least one day to get to know Zurich’s nice old town and most important sightseeing spots. Climb the steps of the Grossmünster and enjoy the view across the city. Then, walk along the Limmat and enjoy a coffee in one of the many cafés that seam the river walk. The lake promenade is particularly nice in summer time! If you like arts and exhibitions, a visit to the Landesmuseum and to the Rietberg Museum will be worth your time. Also, take a stroll through the old part of town, the Niederdorf, and visit the Frauenmünster. Then, it’s time to head to Zurich Main Station and take a train to Lucerne. This city is one of the most beautiful cities in Switzerland and just 1 hour away. Surrounded by beautiful mountains and located at the border of Lake Lucerne, it is an artsy city with a beautiful old town and many interesting sightseeing spots. Plan some time to marvel at the Kapellbrücke (Chapel Bridge) and to take photos – this jewel is just stunningly beautiful! Then, take a walk through the old town and enjoy a Raclette or Fondue in one of the restaurants to get a true taste of Switzerland. And, if you like good hikes, you’ll get your heart’s fill in this region as well. Best take one of the ships to Seelisberg and enjoy the stunning scenery of the lake and its surrounding nature. From Seelisberg, you can hike up to the Rütli. This hill is said to have been the location in which the first 3 cantons of Switzerland formed their union. Getting around in Switzerland is really easy. There exist extensive bus and tram networks in the cities, and the train network between the towns is highly efficient. The best time to travel to Switzerland is from May to September, when temperatures are warm and pastures lush and green. Compare cheapest flight tickets to Zurich and choose a discounted one so that you can take absolute pleasure in what the city has to offer. Expedia offers low-cost flights to Zurich from London - price starts from only £76 as round-trip. 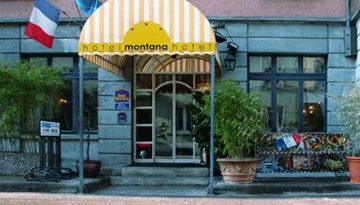 Just stay 2 or 3 nights & save up to 20% at Hotel Montana Zurich - Available all days. Fly from Luton - Zurich & Stay for 7 nights with 4 star accommodation. Room Only.